Plays videos on a small layout below its menu-bar icon. Is there a better alternative to PopPlay? Is PopPlay really the best app in Video category? Will PopPlay work good on macOS 10.13.4? 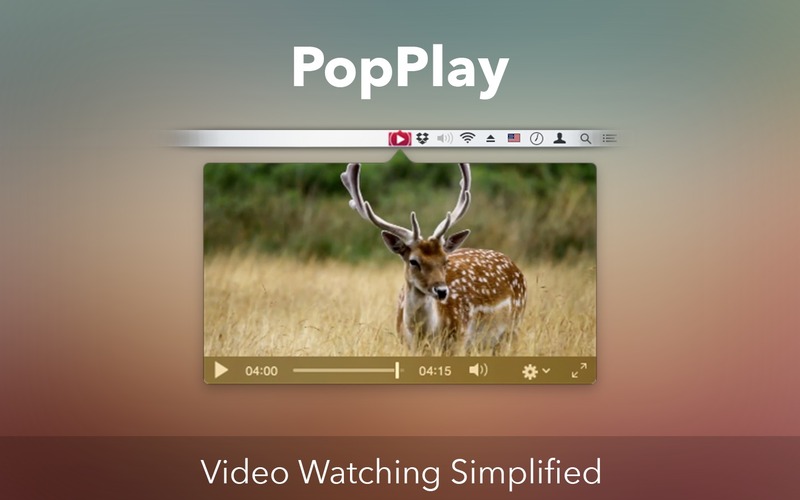 PopPlay stays on top of everything by default so that you can enjoy watching uninterrupted videos. Users can play the same video on full screen and go back to the status bar view with a single click. It supports Apple’s default audio and video codecs. One click to full screen then back to status view play. Create playlist of your favorite videos easily. PopPlay needs a review. Be the first to review this app and get the discussion started! PopPlay needs a rating. Be the first to rate this app and get the discussion started! 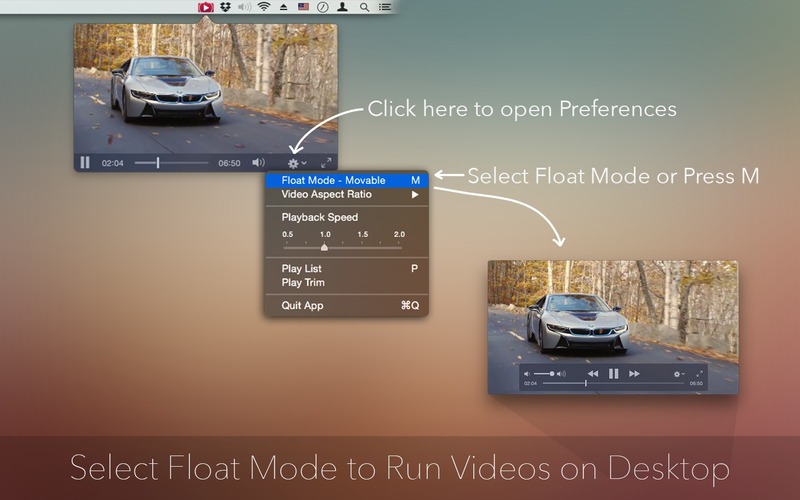 Pop Play will definitely be useful for people who wants to keep a video running somewhere on the desktop while busy with work. Just click on the status bar icon to hide the video and click again to play the video from where you left. 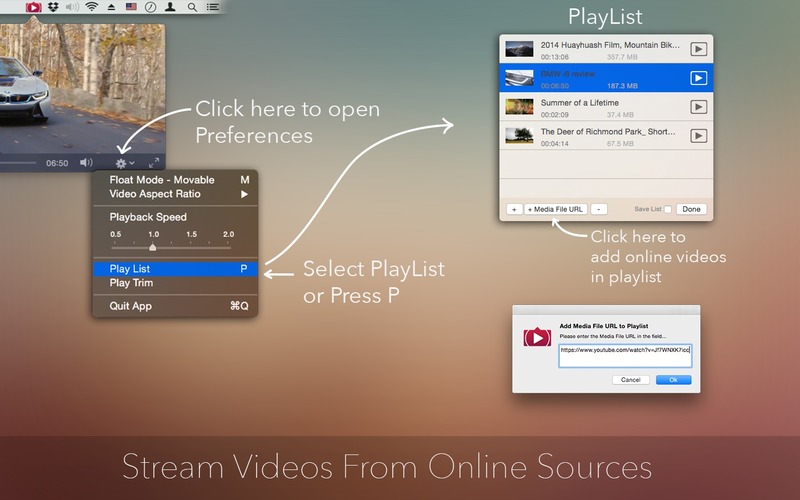 This becomes super easy with PopPlay to watch videos or listening to music. All you have to do is build one playlist consisting of your favorite videos and let PopPlay do the rest.